Google probably has the biggest collection of documents found on world wide web, which is called an index. This is where search results come from. At the moment there is only one index, but according to Gary Illyes, this is going to change in a few months time. You can read more about indexing and crawling processes here and here. I’ll be focusing on changes you should prepare for, if your income is in any way related to your online presence. 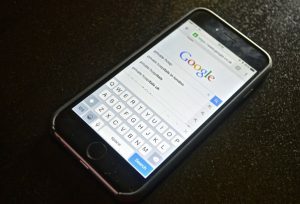 Yes, Google is about to create a second index and store data on mobile websites in there. Well, actually this will be the primary index from now on and the current desktop index will be secondary. Now this is a huge change! It all began last year, when Google rolled out their mobile-friendly update. At that point everybody started taking this mobile friendly thing very serious. It means that if your website does not look good and readable on small devices like your phone, it will not show at the top of mobile search results. But a separate index is coming up that will be used specially for mobile websites, therefore you will be forced to take care of this. This is somehow understandable, because more and more people only use their mobile devices to search the web. Not only that, we use them to buy stuff, to pay bills and to make an appointment with the doctor. At the moment, around 55% of all traffic comes from phones and tablets. If you see a green bar saying something like “Awesome! This page is mobile-friendly.”, you are good to go. If not, start searching for a web developer who will make the necessary changes. Previous Post The end of insecure websites? some fascinating things or suggestions. Maybe you could write next articles regarding this article.